I hardly have time to reflect on and write about our last trip before we are on to the next trip. Dawn and I just returned from cold Colorado. I must admit that we’ve gotten soft now that we are living on the border with year-round mild temperatures. We loved being able to see our son, Jonathan. His dog, Cesar joined us for this photo! When we are in Colorado we are always reminded of Hannah. There were a number of friends who we saw for the first time since Hannah moved to heaven. Dawn and I love to talk about our daughter, and yet it does bring up some emotions for us. I’m grateful for the Lord’s good and loving healing in our lives. When I think of how fragile we seemed last year at this time. God has been so good, and he is giving us strength as we continue to walk on this journey. We came home just for a few days to catch our breath, but now we are off to Guadalajara for the weekend. We will be participating in the 20 year anniversary of one of the churches that our colleague and friend, Kenton Wood started. The Lord has used Kenton in some amazing ways over the years to see many won to Christ and discipled into the kingdom. His church, Rey de Reyes, “King of Kings” has started eight other churches as well. Promoting the ministry on the Border, the Baja and Beyond! We give thanks for the Lord’s good work, and we pray for more. More Lord, give us more! Dawn and I appreciate your continued and ongoing prayer for us. Every day I feel like the Lord shows me the importance of prayer. It’s like air, we can’t live without it. Breathe in deeply God’s love and his grace. Let us all grow together as we approach the throne of God, a throne filled mercy and grace! 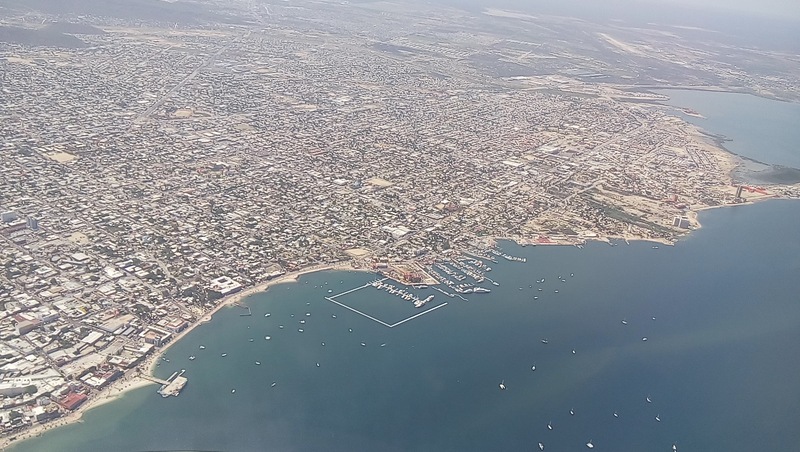 Dawn, Hannah and I just returned from an amazing week in Los Cabos, La Paz and Puerto Vallarta. The first half of our trip we visited our fellow MTW missionaries Peter and Jenny Boling, and our national church planters Victor and Fanny Gonzalez. 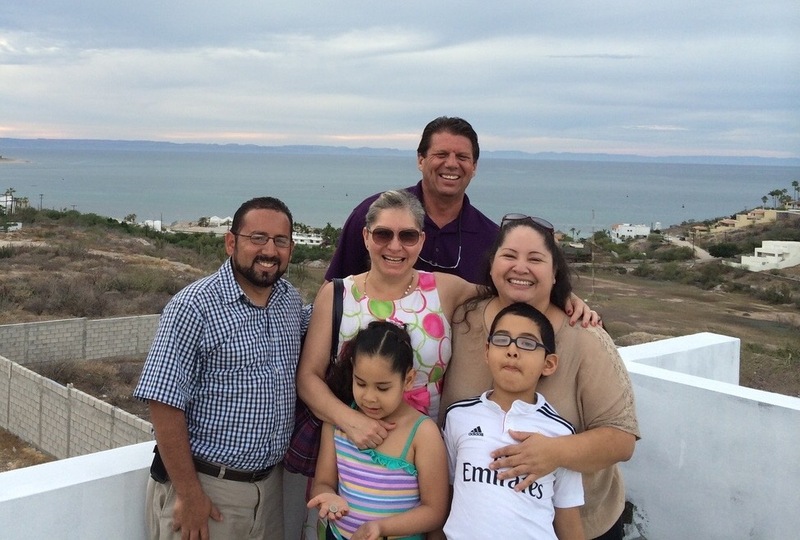 We are thrilled by all God is doing at the southern end of Baja California. 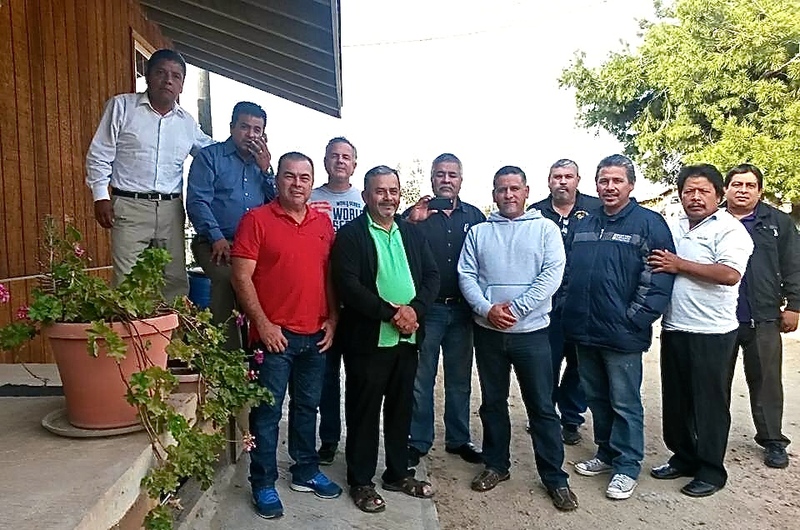 The Bolings and the Gonzalez are building a strong foundation for the beginnings of the new church planting project in La Paz. Victor and Fanny are getting to know the city, the needs, and the people. It takes a lot of time, and it’s imperative as they begin this project. We are praying with them for wisdom and direction. Peter and Jenny Boling play an invaluable role in encouraging them, praying with them and supporting them along the way. 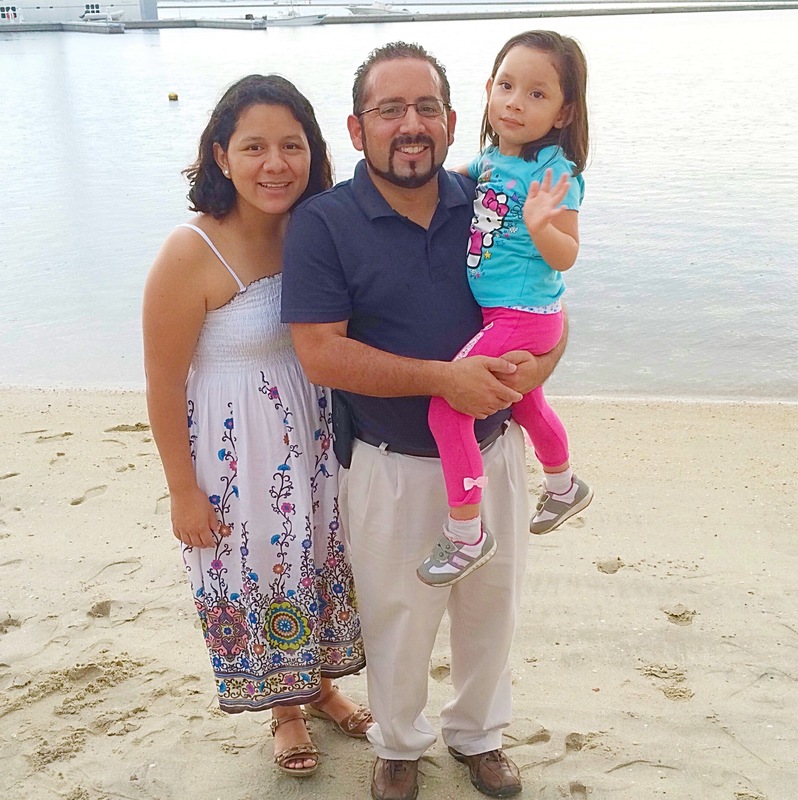 The Bolings are in the process of praying about moving their family from Cabo San Lucas to La Paz, which is about a two-hour drive across the peninsula. They would like to be more directly involved in this new church plant. We are excited about the possibility! Join us in prayer that the Lord will make clear to the Peter and Jenny what he has for them. At this point they are leaning towards making the move, and we look forward to what God will do. Victor and Fanny are a loving couple and they have many gifts. They will be even stronger and more effective if they have a team to work with them. It’s not an easy thing to start a church from scratch. The Lord is one who builds his church, so we are looking to him and trusting him. The Lord continues this work of building his church. He promises that he will build it, and that the gates of hell shall not be able to contain what God is doing. Our God is greater and more powerful than any force that the enemy would seek to lift up against us. We are in a battle, but we are on the winning side! Dawn, Hannah and I were grateful we could connect with these two very special families. We are praying for them, and asking the Lord to do a great work that the city of La Paz will be transformed by the gospel. That the city will be true to it’s name a city full of peace. Dawn, Hannah and I are on our way to Cabo San Lucas and La Paz today. It’s exciting that the Lord worked it out for the three of us to go together. 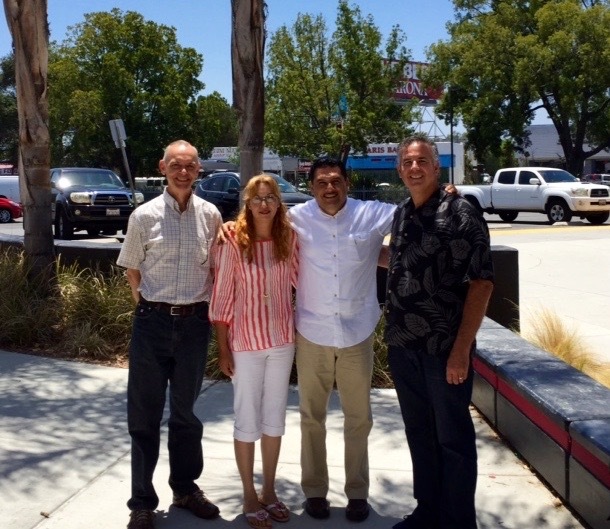 We just sent a church planter to La Paz in May. Victor Gonzalez has been in La Paz with his wife, Fanny for the last four months getting set up. 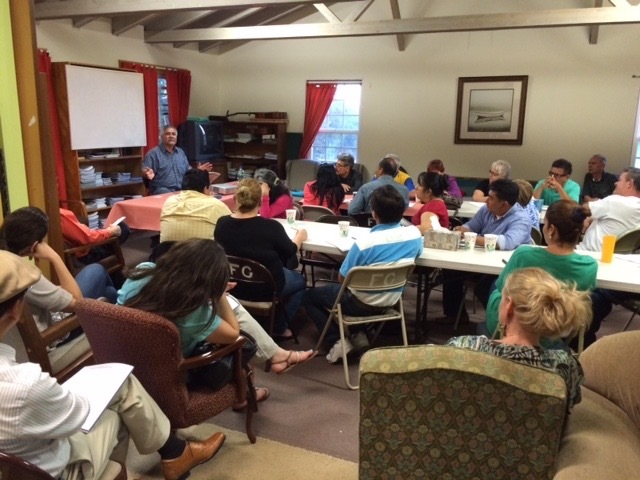 They are off to a good start as they meet people and work on developing a core group to launch the church. 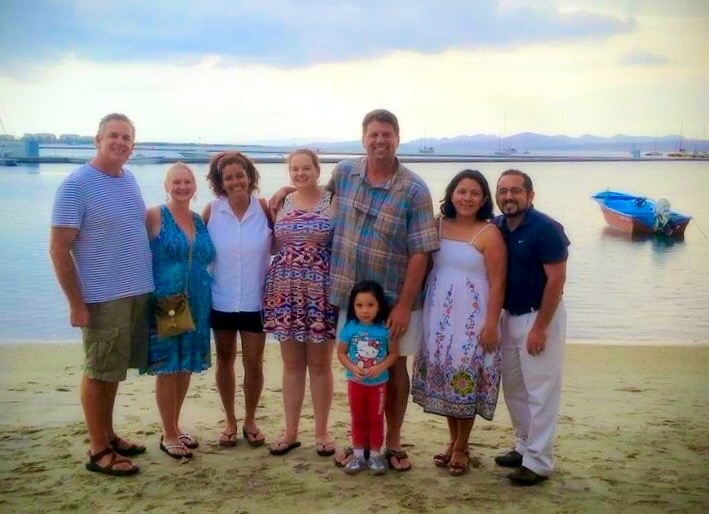 Mission to the World missionaries, Peter and Jenny Boling are currently living in Cabo San Lucas. They’ve begun helping Victor and Fanny. One of the reasons for this trip is to work with the two couples on strategizing how they can best work together. 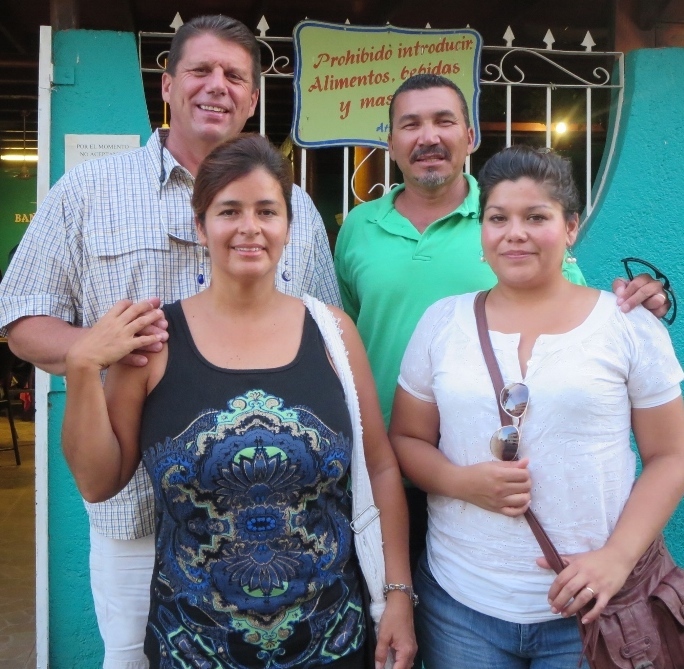 The Bolings are considering moving to La Paz, so they can be more directly involved in this church planting project. Our desire is to see the Border and all of Baja California and Beyond transformed by the gospel. We believe the church is the instrument God has chosen to carry the good news and to bring about transformation in the hearts of men and women as they encounter Christ. Pray that the Lord leads and guides our time together, so that it is fruitful. We also want to be a blessing, an encouragement to our friends. Thank you for standing with us in prayer as the gospel goes forth.